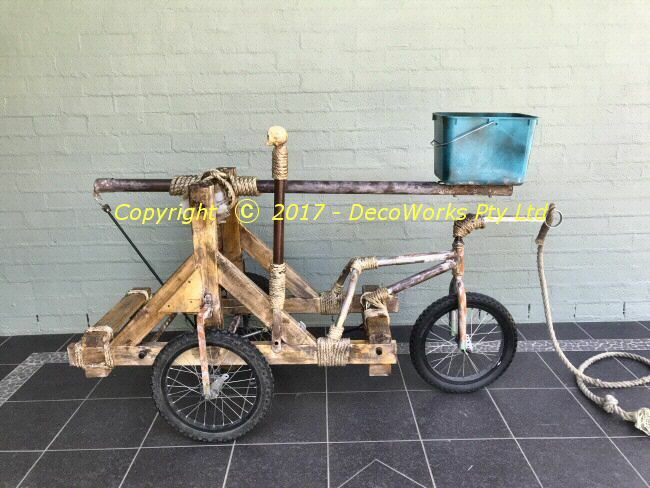 This small practical catapult was made for a recent theatrical production. 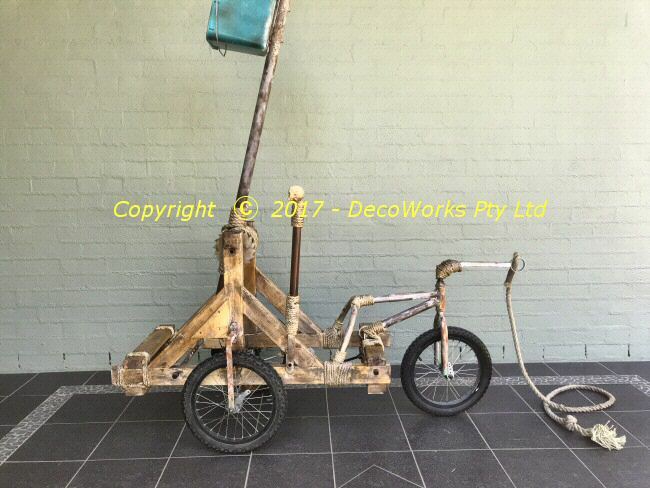 The design was based on a Leonardo da Vinci drawing of a catapult. 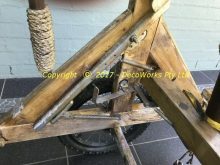 Modifications had to be made in order for the catapult to operate as required. 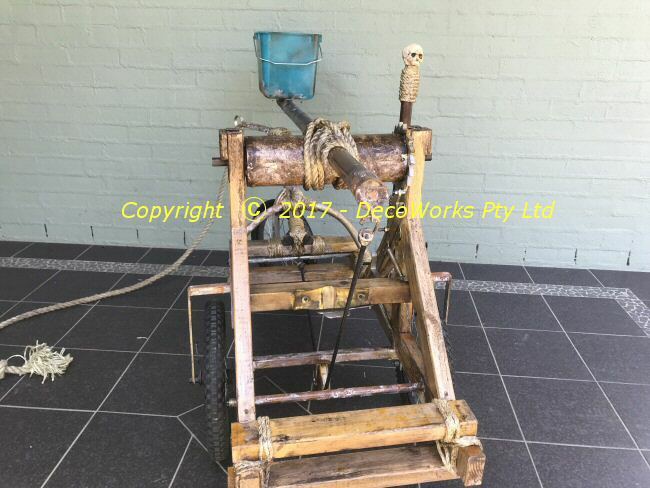 The main power for the catapult was a length of rubber cord similar to bungy cord. 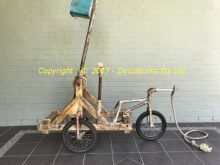 Two children’s motocross push bikes were recycled (pun intended) for the wheels and steering mechanism. 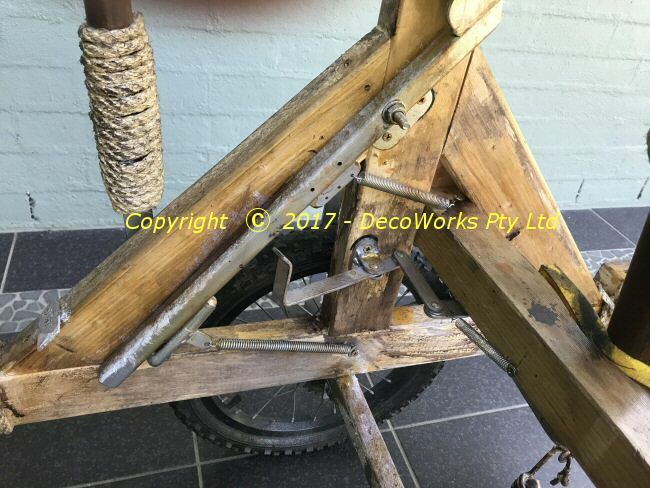 The bike parts were attached to the timber framework with custom brackets which were then lashed with sisal rope to give a more lived in look. 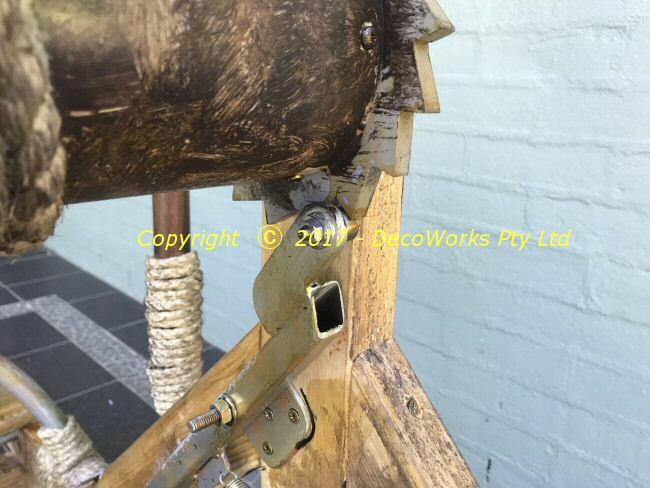 A steel ratchet mechanism was built to ensure reliable operation of the release of the catapult arm. 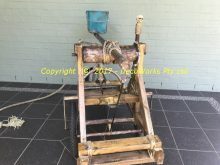 Clicking on the photos below will bring up a larger image. 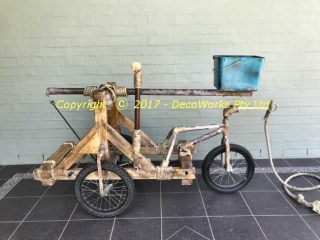 This entry was posted in Projects, Prop Making and tagged mechanism, props, theatre. Bookmark the permalink.